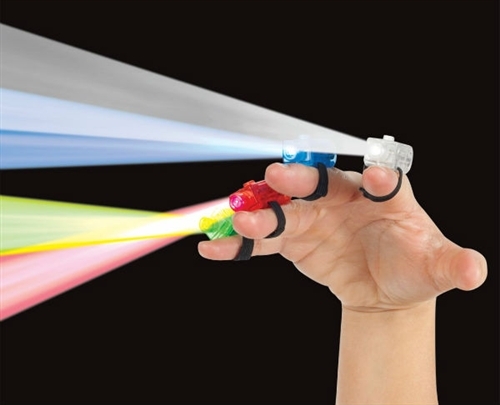 Pack of 4 Finger Lights. Each light straps to your finger with an elasticstrap. Pack includes four lights; red, blue, green, and white. Easy to use elastic strap will fit around most fingers, pens, pencils, and small tools. Mini LED Natural Salt Lamp - USB Powered Educational Light Cube Toy Binoculars Giant Prism 3" x 4"